Your staff is always friendly and such a pleasure to deal with. The staff is very accommodating and always do an excellent job! Friendly, professional staff! Thank you to Tina for being so good to my dog! We had a very specific set of grooming instructions that would have been easy to screw up but our groomer completely nailed it. Latte was happy when we picked her up and she looks adorable. We had a great experience at Tucker Pup's. Staff was very welcoming. Louis was groomed by Stephanie. She was great and finished under 1.5hrs shorter grooming time was key and he looks handsome with his short do'. I also got a tour of the facility with Chris. He was very knowledgeable and answered all my questions & concerns. Can't wait to bring Louis back for grooming and possibly daycare & boarding. This is Nugget's second time to Tucker Pups for grooming. Both times were great experiences! Great first experience. Thor was happy and handsome. I will definitely be back. The service is outstanding! The pictures are a great feature. Our puppy loves this place! Always have a great experience. Everyone there loves Violet and the groomers and front desk are always very nice to work with. First time to Tucker Pup's for grooming and couldn't be happier with service from all of your staff. Not to mention the attention that Clyde got from everyone, which he loves more than anything...therefore makes me happy. I knew of you only through a friend that used to bring her dog to you so many years ago, but she still raves about you so knew I would be in good hands - didn't disappoint. I hope to use other services some day. Thank you! We did a trial daycare and grooming today. I was incredibly impressed with the staff, especially their knowledge and care of dogs. They knew my dog specifically and were able to speak about her habits and I could tell they had paid close attention and care to her. I'm thrilled with my experience and feel very comfortable leaving her in your care when we travel soon. Tina did a great job grooming our dog Charley. He doesn't like to be groomed. Tina is always patient with him. Tina does a great job with our doodle! Doodles are hard to groom and I have seen pictures of many doodles looking like a poodle after grooming. She always does exactly what we ask for and we couldn't be happier! Cocoa was horribly knotted before his appointment. Tina did an amazing job of getting rid of the knots without shaving him! My main concern was shedding and after the previous grooming three months ago, Mocha didn't shed for 4 weeks, which was good for me. We continue brushing. Now after the grooming yesterday there is no shedding at all, I hope she will stay this way for more than the 4 weeks but if it is even 4 weeks that will be ok. Everyone in the place is friendly and dog lover which gives me a good feeling about the place. We have been using an in home dog groomer for years, so this was the first time our dog went to a groomer and allowed them to cut his hair. He did really well and looks adorable. Tina did a great job. Hilary did a great job on Lilly. She does an excellent job of interpreting my specific grooming wishes and providing a cohesive look for my dog. She started and finished on time too, which makes planning a breeze. Everyone was very friendly. Moses and I felt welcome as soon as we came in. Lewis, my dog, was in for bath and brush. The Tucker Pup's staff was super friendly, very quick with the service and great price! love you guys. You are organized, thoughtful and caring. Ollie was rejected by another groomer who clearly had no idea what they were doing. Ollie is nervous and I warned you might object to grooming of her head. Your advised that would not be a problem and immediately looked up her records from an unrelated boarding bath experience. Nervous owners love reassurance. You provided. Please continue to run such a quality operation. Next time I will ask for more hair off. But this time all was perfect! Kia just loves her grooms with Hillary at Tucker Pup's. She always comes out looking & smelling so lovely with a pretty bow or kerchief. Everyone was super sweet to Teche, especially since she gets really nervous leaving us. We really appreciate the care and patience demonstrated! Plus she looks and smells great after her bath! Thank you!! Pepper always looks and smells great after her grooming! Love the snowflake bandana too! Thanks Rachel! Penny Lane stayed at Tucker Pup'ss over the Thanksgiving holiday and when we picked her up she was so clean and smelled delicious! Thank you so much for taking the time to bathe her and dry her! Accommodating, quick, excellent service. My dog and I highly recommend! Hillary did a great job on Cooper's cut, called me with concerns about his skin condition which I appreciated, and was finished so quickly. Thank you! Tina did a great job grooming Cooper. Prompt, professional did exactly what I asked. Called me just before she finished so that I could head over. The girl at the front desk was very efficient and pleasant as well. My pup looked great, smelled great, and was happy. I can tell the cut was given by an expert. I am very happy with our experience! I have had Cocker Spaniels my whole life and have high and specific expectations for grooming. 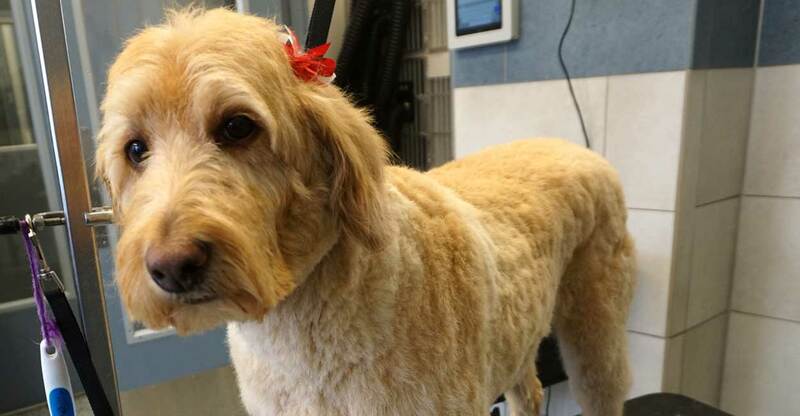 Many groomers do not know how to give a proper cocker cut. Even though Cooper is a baby and only needed a sanitary trim, he looks excellent. Julia did a wonderful job and I'm very glad Cooper was scheduled with her because I had seen many great reviews for her services. We will definitely be back to have Cooper groomed with Julia again. Thank you for your great work! Tina is the best! My Max is not the best client. He is almost 16 and can be a bit grumpy. Tina always is gentle with Max and always takes the time to come greet us and also see me on his way out. Today we even had to touch him up in the waiting area. And to top it off she found a few fleas on him which then became a whole different day for little man Max. Your manager told me to bathe him in Dawn later and we did. Great advice. He got pills from vet, we bathed him again, washed everything, and he is resting. I would never go anywhere else but Tucker Pup's! Tina is a keeper as is the rest of your staff! You should be very proud of the business you have built. - Jennifer Fried & Max. All personnel are courteous,friendly and love the animals. Groomers are conscientious about what they are doing. Thank you to the groomer who did such a wonderful job!!!! My dog was happy and took to the groomer. Great timely service, and helpful groomer regarding the best way to address certain concerns I had regarding grooming. My dog looks pretty!!!! Grooming was excellent - she listened exactly to what I wanted and the service was fantastic! Groomers always do an excellent job of cutting George exactly how we request. Lilly was groomed after her 2 day boarding stay and looks great! It was her first "real" haircut and her hair was very long with many mats deep down. She looks like a new dog after her haircut and can finally breathe! I appreciated that the groomer provided details about how Lilly was during grooming, since this was her first real cut. Thank you!! Tina is absolutely wonderful. It's always a great experience when I take my dog for grooming. We have had Fruili groomed 3 times now at Tucker pups based on a recommendation from our friends that use your services. 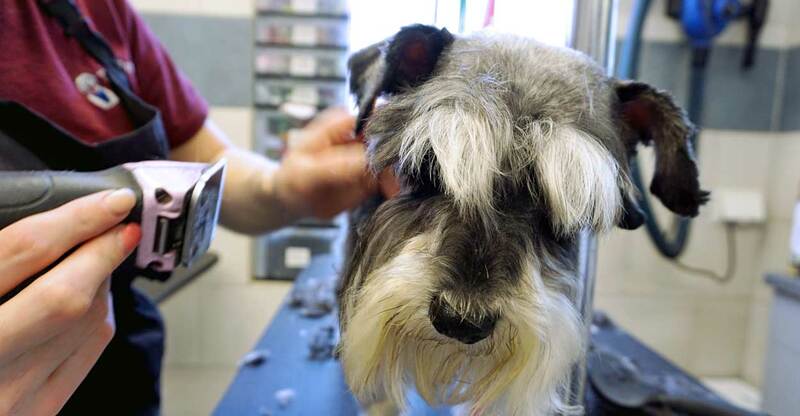 We have always asked previous groomers for feedback on the experience, and have gotten very little feedback. We really appreciate Jomarie's openness on our dogs anxiety and needing to be muzzled when she does her front legs. That is something that has probably always been an issue, but we have never known until now. We truly appreciate the open and honest communication! Everything was great. Pixel loved it! She looked awesome after the grooming also! The care is always well done and very prompt, and the photos are adorable. Ease in making the appointments and promptness and efficiency as well as the courteousness of all staff. We had Mila bathed for the first time at Tucker Pup's a few weeks ago and she has barely shed since then. It makes a world of a difference when cleaning our house. We will be asking to have her bathed many more times in the future! Thank you. My dogs had a wonderful grooming experience. All groomers are fantastic. My absolute favorite groomer is Tina though. My dog Lani is very shy and I always feel very comfortable leaving her with Tina. She does an amazing job and takes pride in what she is doing. Love her. We are so pleasantly surprised that our dog Luna had such a great stay at Tucker Pup's! This was her first time boarding and it was a wonderfully positive experience. It's obvious that the staff made her feel welcome while happily communicating with us on a daily basis (and we called a lot! Sorry!) We loved the daily pictures added to her online gallery. She's currently tired, happy, and really clean! :) We've already requested dates for our next trip! Thank you! You guys did a great job on Reggie - thank you for being careful with his blind eye, he is a fragile little guy and we really appreciate the extra care you put in!